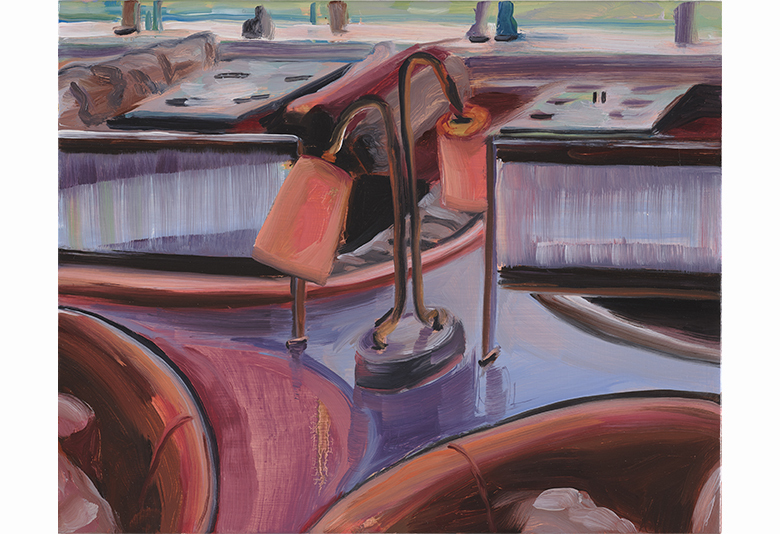 In this publication, British artist Anna Freeman Bentley presents a series of new paintings and works on paper documenting her journey into the exclusive realm of private members clubs. Having started out in her home city of London, her research took her to California, and in particular to some of the most desirable clubs of Los Angeles, where through friends, professional networks and a number of courteous emails, doors were temporarily opened to her. In places where photography is often strictly forbidden, Freeman Bentley was authorized to document some of the many luxurious lounges, well-stocked bars, and high-end restaurants that are second homes to the members who pay considerable fees to use them. Whether celebrities, self-made business people or those born into lavish lifestyles, members clubs are synonymous with wealth and success, where people can relax, socialize, or do deals in a smart and protected environment free from fans, paparazzi, or the general public. It is a world of affluence and glamour tailor-made for the jet-set, a meeting place where artists and art collectors fly in and drink cocktails, where high-net worth individuals and media moguls hang out with the great and the good from Hollywood or the music industry, and where social media stars can switch their phones to flight mode for a while and chat freely with friends. 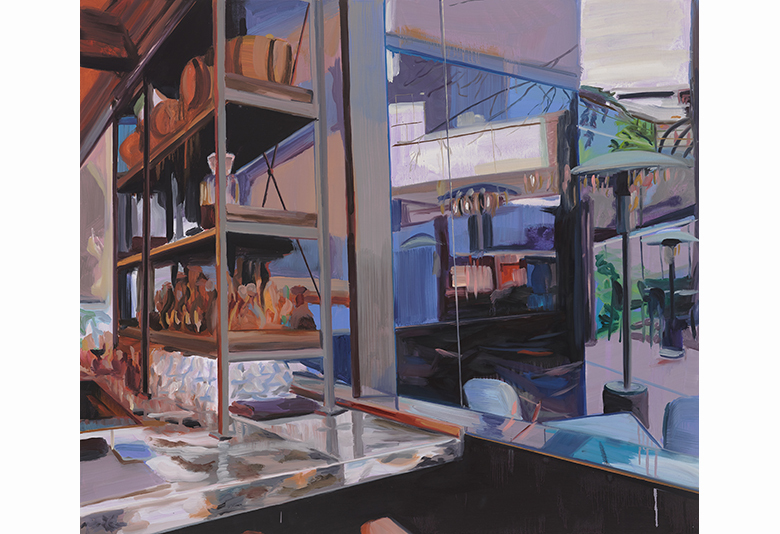 Freeman Bentley uses the photographs she takes of these interior and exterior spaces out of hours as the starting point for unpeopled drawings, collages, and painted sketches, transforming her studies of members clubs into complex paintings that hover between reality and invention. 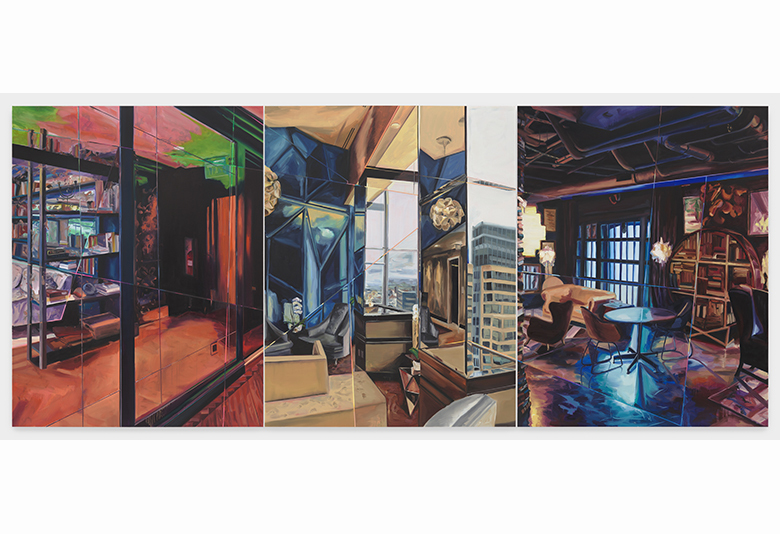 Freeman Bentley is known for her paintings of architecture and interiors, not only exploring the physical attributes of the built environment, but also raising questions about how and why they are used, and how this is reflected in the ambiance and dynamics of a given space. 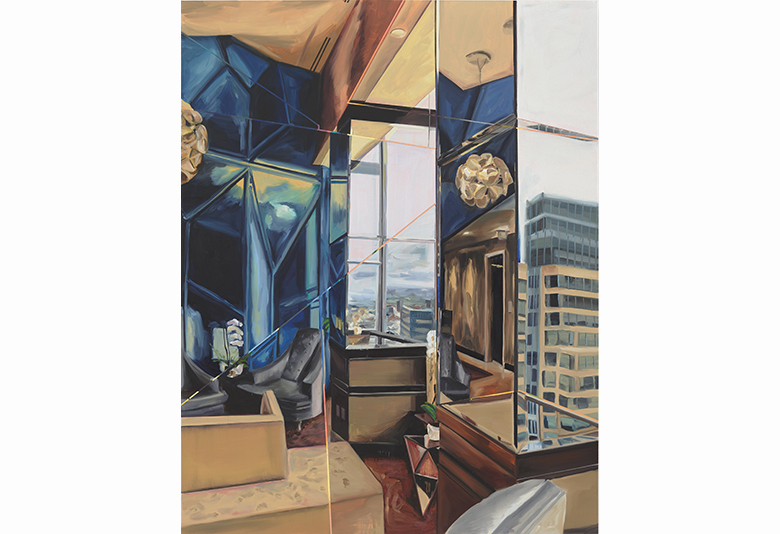 At a time of heightened awareness of wealth inequality, through her painterly works Freeman Bentley gives us a glimpse inside the spaces of the social milieu of the financially successful, the movers and shakers, the leaders and trend setters, inviting us to respond as viewers in whatever ways we choose. For some, it may be a matter of curiosity or of desire and aspiration; for others the very idea of members clubs might be elitist or snobbish. Yet for others it might be an occasional treat, or simply an everyday occurrence, the norm. With her characteristic combination of matter-of-fact observation, critical reflection, and atmospheric perception, Freeman Bentley presents us with a body of work that is as enigmatic as it is intriguing, asking us not only about issues of individuality and communality, private and public life, exclusivity and inclusivity, but also about how we each fit into such dialectics, and what this says about our inner and outer lives. ‘Exclusive’ has been co-published by Pinatubo Press, Inc., and Anomie Publishing, and released to coincide with an exhibition of the same name at the Ahmanson Gallery, Irvine, California, in spring 2018. This hardback publication showcases images of approximately twenty paintings and as many works on paper, alongside a foreword from collector and patron Roberta Ahmanson, an introduction by the exhibition curator John Silvis, and a specially commissioned essay from critic Jane Neal. Anna Freeman Bentley (b.1982) is an artist based in London. She studied painting at Chelsea College of Art and Design before graduating with an MA from the Royal College of Art in 2010. She has had solo exhibitions at venues including Wolfson College, Oxford (2017), Husk Project Space, London (2015), Workshop Gallery, Venice (2012), and Galerie Kollaborativ, Berlin (2007). 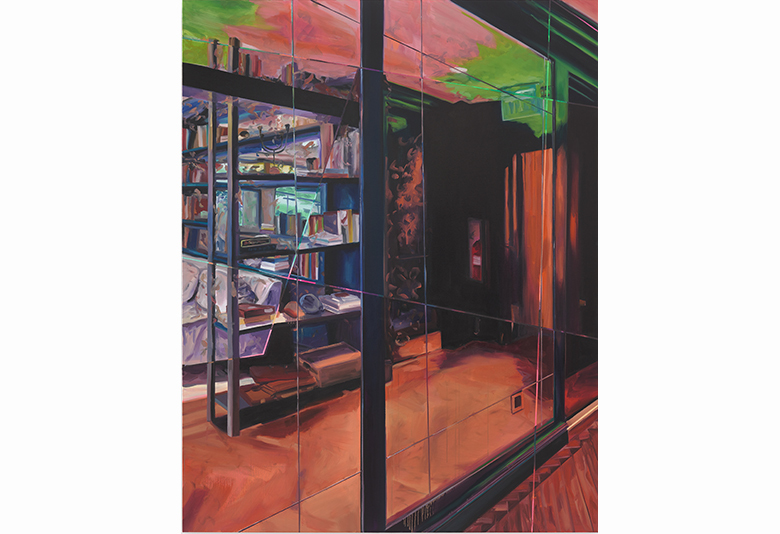 Selected group exhibitions include ‘London Now’ at Space K, Seoul, South Korea (2017), ‘Der Kuhle Glanz’ at 68projects, Berlin (2017), the East London Painting Prize (2015 and 2014), the Prague Biennale 5 (2011), and Bloomberg New Contemporaries (2009). Freeman Bentley has been the recipient of numerous awards and residencies, including Breathing SPACE Residency, London (2015-16), the ERDF New Creative Markets Programme, London (2013-14); Artist in Restaurant at Pied à Terre, London (2012); The Florence Trust Artists Residency, London (2010-11) and The Chelsea Arts Club Trust Award, London (2009). Designed by Reynolds Wulf Inc. This entry was posted in Uncategorized on February 5, 2018 by mp1132.